By the end of the season, the Pilots were gasping. However, Daley refused to put up more financing. It was obvious that they would not survive long enough to move into their new park without new ownership. It was also obvious that such a move would have to happen quickly, as Sicks’ Stadium was inadequate even for temporary use. During the offseason, Soriano made contact with car salesman and former Milwaukee Braves minority owner Bud Selig, who was leading the effort to bring major league baseball back to Milwaukee. They met in secret for over a month towards the end of the season, and during Game 1 of the World Series, Soriano agreed to sell the Pilots to Selig for $10.8 million. 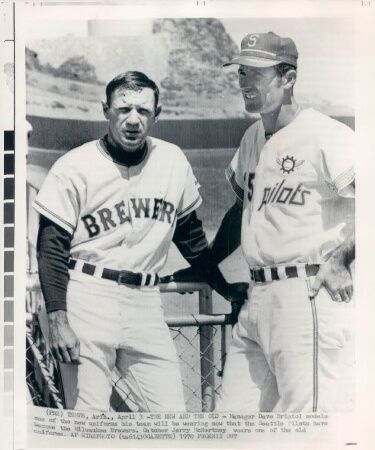 Selig would then move the team to Milwaukee. However, the remaining owners of the Pilots turned it down in the face of pressure from Washington State’s two senators, Warren Magnuson and Henry M. “Scoop” Jackson, as well as state attorney general Slade Gorton. Local theater chain owner Fred Danz came forward in October 1969 with a $10 million deal, but it fizzled when the Bank of California called in a $4 million loan it had made to Soriano and Daley to finance the purchase of the franchise. In January 1970, Westin Hotels head Eddie Carlson put together a nonprofit group to buy the team. However, the owners rejected the idea almost out of hand since it would have devalued the other clubs’ worth. A slightly modified deal came one vote short of approval.